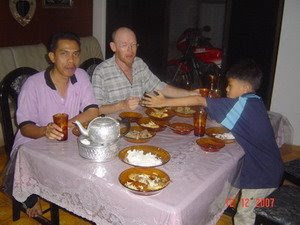 To see more about Tony's experience at Desa Homestay, click. 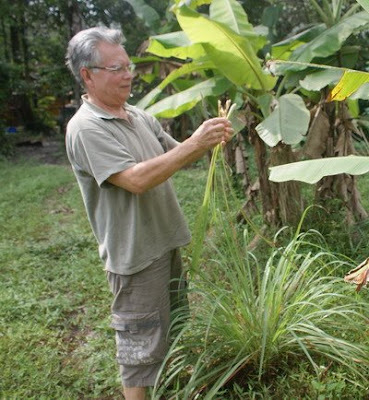 During the flood season, catching local fish is one of the villager's activity. Hannah Mayne from Ottawa, Canada. She is a student from Monash University, Australia. She came twice to my village. Why? 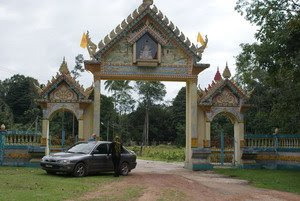 She came to my village at early February, 2008. She stayed for 2 days. I brought her to my school. She likes kid. Her last day she told me that she want to come again for the second time and she wants to spend more time with my pupils. On February 18 she came to Kota Bharu flied from Bangkok to Kuala Lumpur and arrieved in KB airport around 9pm. We're very excited to see her again. She stay here until February 28. 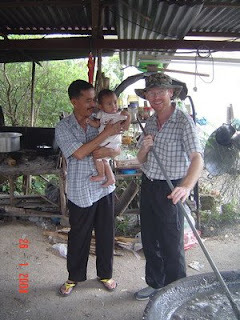 She learnt more about Malay people and she hope to come again to Kampung Tok Sangkut some other days. She is preparing foods for our lunch. She look happy with my family and learnt how to prepared Malay dishes. Hannah is preparing some onions one of the ingredients in Malay dishes. Hannah as a volunteer at my school. 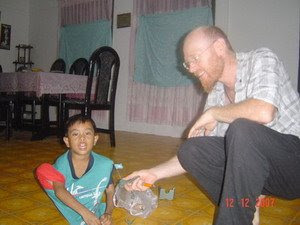 One day I promised to my pupils that I'll bring 'orang putih' to see them so that they can improve their English. Alhamdullillah..I met her and brought her to my school. 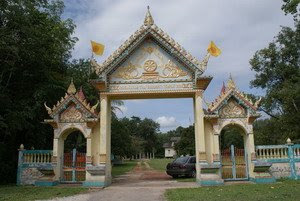 Siamese community is one of minority in Kelantan. Its about 2.3% population in this state. 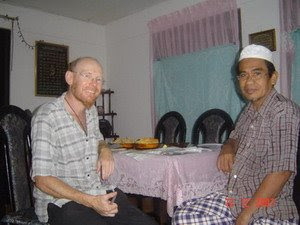 For me this community is unique because of the relationship between Malay people. 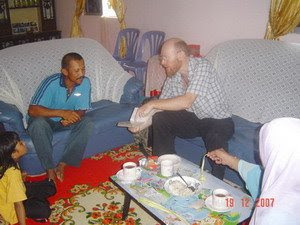 Siamese and Malay is very close here and I heard if Malay people held wedding ceremony, they will come to that occasion and enjoy most of Malay festival. 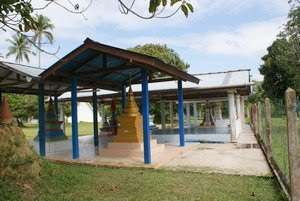 This site can be one of the attraction at Desa Homestay. We have many potential attraction and the problems is this place not publish or inform to tourist centre or tourist egents. 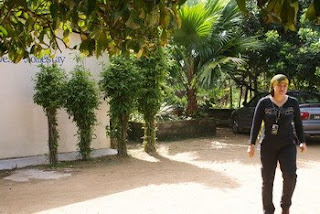 This morning a researcher from Kuala Lumpur visited my homestay. Quite shocked when I get a phone call from her. She's came from Rantau Panjang. She doing research on tourism in Kelantan. 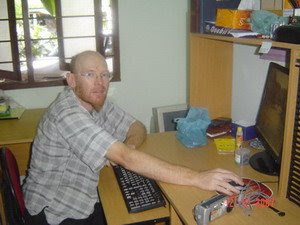 I hope that the best chance for my homestay to be publish outside Kelantan and maybe to the world. a chance tourists also can visit this site. 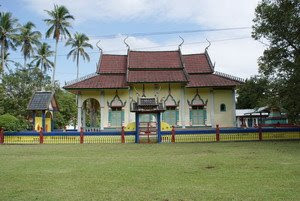 Budha Temple is located in Kampung Lubuk Batil which is Siamese community and very close with Malay society. 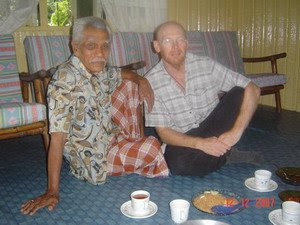 I am very excited to hear when Malay and Siamese stay together and how important the national integration. Wow..amazing! 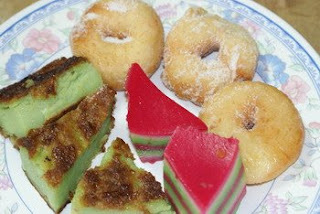 Kelantan is very famous with the traditional cake. 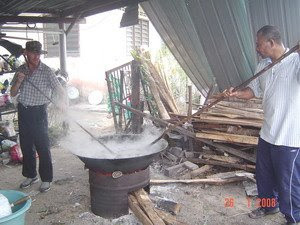 Desa Homestay also give a chance to tourists to make traditional food and cake. Sometimes I buy this cake which is not far from my homestay. Its depend on the schedule. The most important thing that tourists can feel the taste of local food and cake. 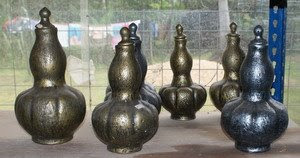 'Tepung bungkus' is very famous among Kelantanese. If tourists come to my homestay they will taste all kind of cake. So, do not missed this cake at Desa Homestay. 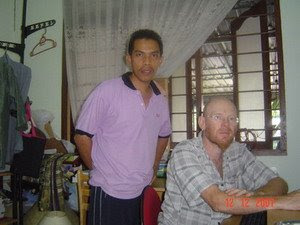 Do you like my Desa Homestay?